The runway never looked – or sounded -- better. Audio technology innovator Velodyne Acoustics, Inc. today announced that the company is co-sponsoring runway events at New York Fashion Week for Carrie Hammer and Dom Streater, two of today’s hottest new fashion designers. 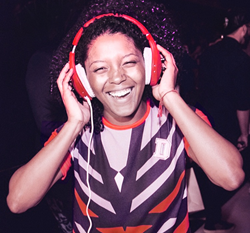 With its artistic over-ear headphones featuring one-of-a-kind personalized, customizable designer “skins” that suit any wardrobe, style or occasion, Velodyne figures to fit right in (http://youtu.be/bbDdfaWABwg). First up is Carrie Hammer’s New York Fashion Week runway show for her namesake brand CARRIE HAMMER, set for February 12 at 10 a.m. at the Lightbox, 339 West 38th Street in Manhattan. Inside 200 gift bags for press and attendees will be a selection of Velodyne vLeve headphones. 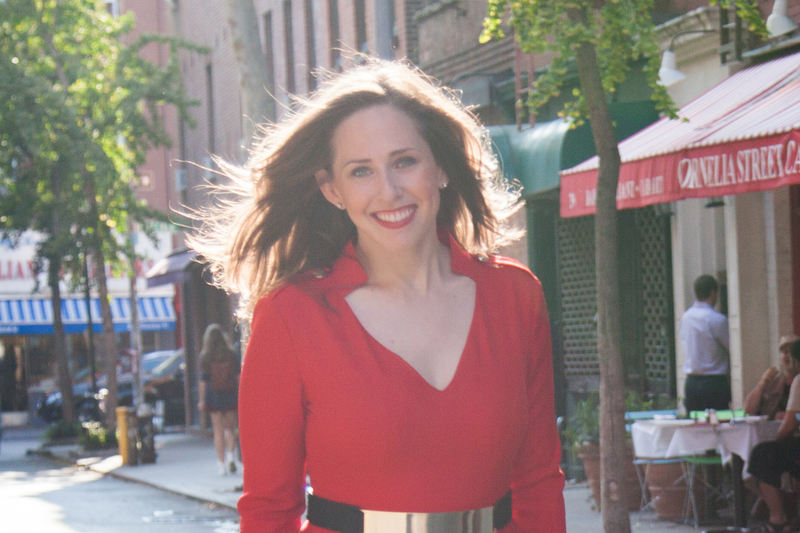 CARRIE HAMMER describes her new line as custom dress for professional businesswomen. The premise behind her brand is that clothing should be made to fit the woman, not the other way around. Velodyne’s vLeve headphones are perfectly suited to the professional woman who wants awesome sound without the headache of heavy gear. Models will wear the slim yet powerful headphones on the runway as a fashion accessory. The vLeve is customizable, with more than 20 choices of covers, including red and black leather, matching Carrie Hammer’s sophisticated line. The following day, Velodyne gear will be out in force again, as part of a gift bag sponsorship of fashion and textile designer Dom Streater. The runway and fashion presentation will unveil Royals, Dom’s Fall/Winter 2015 Collection, at Rogue Space, 508 W. 26th Street in Manhattan, at 1 p.m. There, Velodyne will display its new vFree Gold, Silver, and Rose Gold metallic electroplated headphones. All complement Dom’s new fashion line, which features bold prints in black, white, and smoke grey with accents of silver and gold. 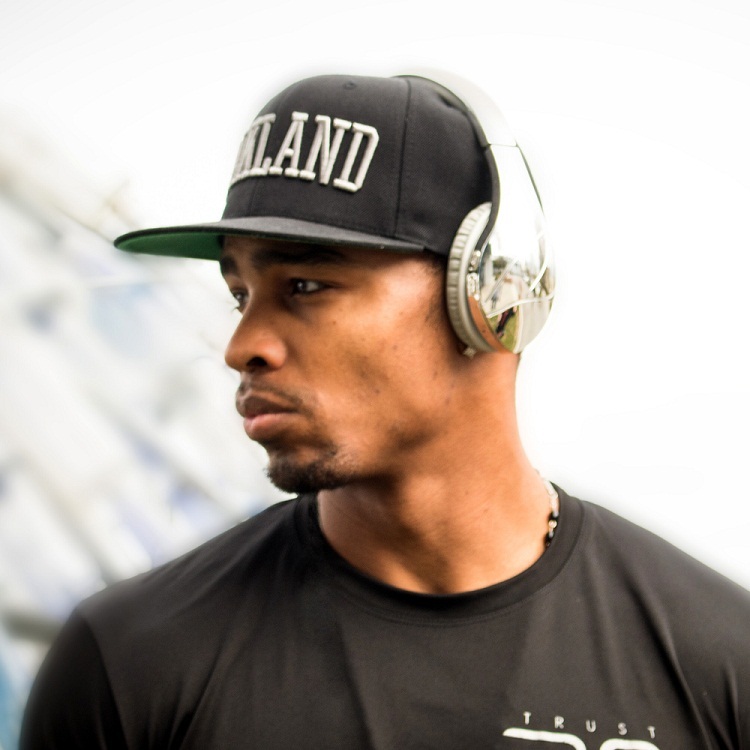 Rod Streater, celebrated Oakland Raiders wide receiver, will serve as Brand Ambassador for the silver metallic line, with his own signature edition of the silver vFree. The limited edition headphones are not yet for sale, but Velodyne will be taking advance orders at the show. Velodyne will provide 120 pairs of vFree headphones in gift bags for press and attendees, along with units for 10 runway models. At a post-show reception, Velodyne will also display a bold black vLeve, a matte black vLeve and a silver vLeve. Velodyne’s award-winning on-ear headphones offer the perfect canvas for the company’s 35 flexible, artist-designed silicon-based skins, enabling music lovers to match the style of the headphones they wear to the fashions and sounds they prefer. Widely recognized as the leading manufacturer of high-performance, low distortion powered subwoofers prized primarily by men, Velodyne was the first company to envision a set of headphones as an artistic canvas and to offer custom-designed skins as accessories with headphones that appeal to both men and women. Velodyne President and well-known artist Marta Hall and a team of Velodyne engineers began designing lightweight headphones and “artistic edition” skins shortly after Hall joined the company in 2011. Carrie Hammer, who was named in 2015 to the Forbes “30 Under 30” list, graduated from UCLA with a degree in economics, and began her career as an advertising sales executive. Frequently told she should “dress for the job she wanted, not for the job she had,” she felt stifled with the limited option of fashionable professional clothing she found. After years working in corporate advertising, Hammer left in 2012 to start her own company, CARRIE HAMMER, a custom dress line for professional businesswomen. The premise behind her brand is that clothing should be made to fit the woman, not the other way around. Hammer made her debut runway show in February 2014 with “Role Models, Not Runway Models,” which included the first runway model in a wheelchair at New York Fashion Week. Hammer’s focus is on professional dresses for beautiful and powerful women. What Hammer finds beautiful does not lie in society’s definition of the word; neither does it fit within airtight standards. Beauty, in the CARRIE HAMMER sense of the word, is found in strong, confident, and empowered women of all shapes, sizes and ethnicities. American fashion designer Dominique (“Dom”) Streater is perhaps best known as winner of season 12 of the Emmy Award-winning television series “Project Runway.” Dom’s eclectic use of bold and graphic prints in her self-titled women’s RTW line quickly gained her a national following. Dom has created custom designs for a variety of celebrity clientele and has collaborated on exclusive collections with retailers and brands, including Velodyne and Belk. Within the last year, Dom received an official proclamation from the Mayor of Philadelphia, participated in Forbes’ “30 Under 30 Summit,” was named one of Nicole Miller’s “Most Fashionable Women of Philadelphia,” keynoted national speaking engagements at universities and events, and has been featured in numerous print publications, including Marie Claire, Essence and Jet. Dom was born and raised in West Philadelphia, and earned a bachelor’s degree in fashion design from Moore College of Art and Design. She currently designs for her self-titled and freelance clients from her Philadelphia-based studio.